Raedan describe themselves as “cloud accounting experts for creatives” - using cloud software like Xero and Receipt Bank to make businesses more efficient. Director and co-founder, Jonathan Bareham, trained at a traditional accountancy firm where it was tough to get technology used. Looking for a change and confident in the potential of new tools, he left in 2010 with no clients and no portfolio. Raedan was one of the earliest Xero users in the UK, having used it since 2010. However, Jonathan explained that they did not use it with all clients at the beginning. They were using it with some spreadsheets and other softwares. Raeden began using Receipt Bank in April 2014. 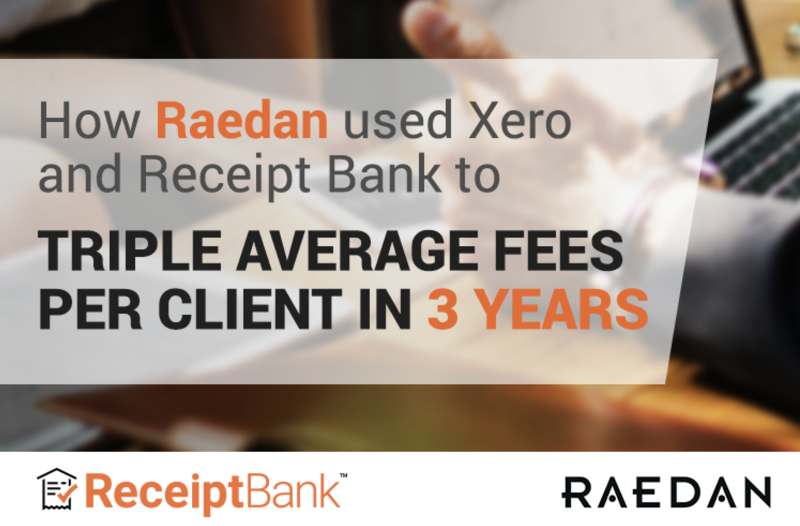 For Raedan, Xero and Receipt Bank go hand in hand. Raedan’s core values are compassion, clarity, automation and efficiency. Jonathan points out that it’s easy for accountants to get bogged down in day-to-day data entry. Yet, taking the time to clients saves hours in the long-run. Since 2010, Raedan have gone from strength to strength with cloud accounting.